Vice President Joe Biden will join Boston Mayor Marty Walsh at a rally in support of striking Stop & Shop workers. 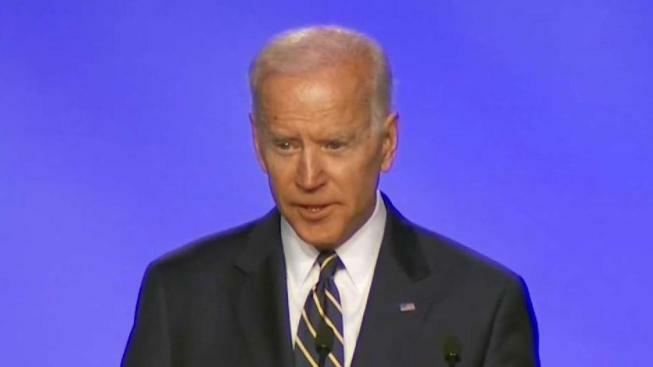 Former Vice President Joe Biden will visit Boston this week to speak in support of striking Stop & Shop workers. The United Food & Commercial Workers said on its website that the potential Democratic presidential candidate would join Boston Mayor Marty Walsh Thursday afternoon for a rally at the South Bay Center Stop & Shop location in Dorchester. Tens of thousands of Stop & Shop employees in Massachusetts, Rhode Island and Connecticut walked off the job last Thursday. Workers have been picketing outside stores ever since. 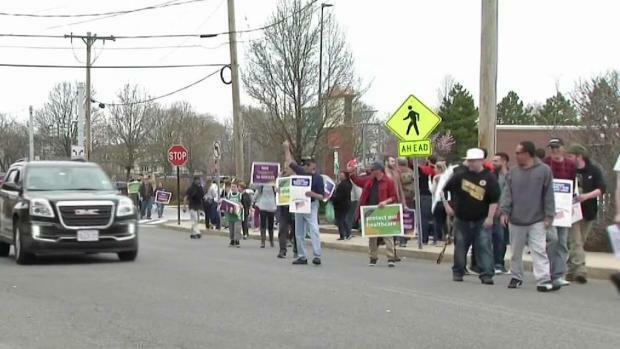 "The men and women who make Stop & Shop a success have earned and deserve affordable health care, a good wage, and the ability to retire with dignity," union leaders said in a statement when the strike began. "They have earned and deserve a good job that allows them to do what they do best: provide the very best customer service for New England communities." The president of Stop & Shop is apologizing to customers for the ongoing strike as other supermarkets profit. The Professional Fire Fighters of Massachusetts sent a message to members urging them to attend the rally "to support the 31,000 UFCW members that are out on strike." U.S. Sen. Elizabeth Warren of Massachusetts, who has already said she is running for president, met with striking workers on Friday in Somerville. Democratic presidential contender Cory Booker has also voiced his support via Twitter. Thursday's rally will take place at 2 p.m. at 1100 Massachusetts Avenue in Dorchester.